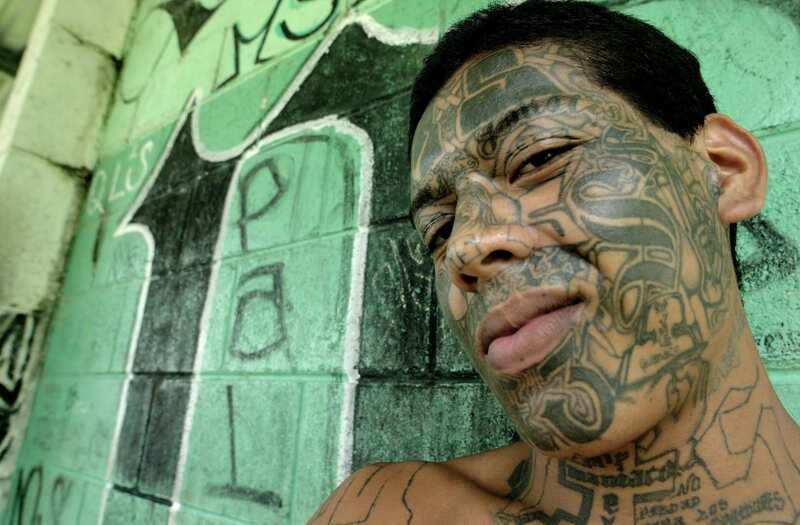 Chances are you’ve never heard of MS-13 but once you have you’ll never forget them. MS-13, also known as Mara Salvatrucha, are one of the world’s most notorious street gangs, who originated in Los Angeles in the 1980s. 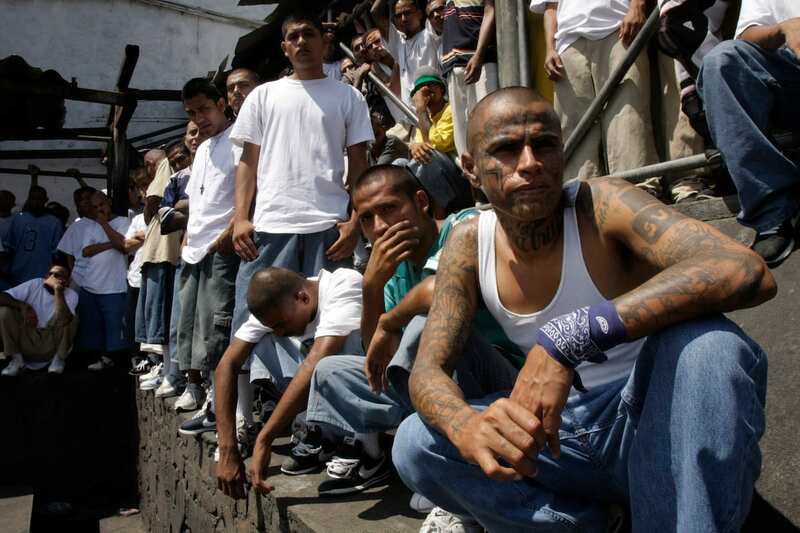 Made up mostly of El Salvadorian immigrants, the gang – who now have factions across the U.S, Central and South America, Canada, Mexico, and Australia – are feared due to their merciless attacks, murders, and gang rapes, reports the Mirror. Terrifyingly, the gang’s main objective is to become the number one gang for the most murders. MS-13’s most widely publicised crime to date took place back in Decemeber 2004 in Honduras when the gang sprayed a bus with machine gunfire, just days before Christmas. As civillian passangers ducked from the gunfire, another gunman got on board the bus and began executing passengers. In total 28 people were murdered. Ironically the massacre was reportedly in retaliation to plans for the reintroduction of the death penalty. 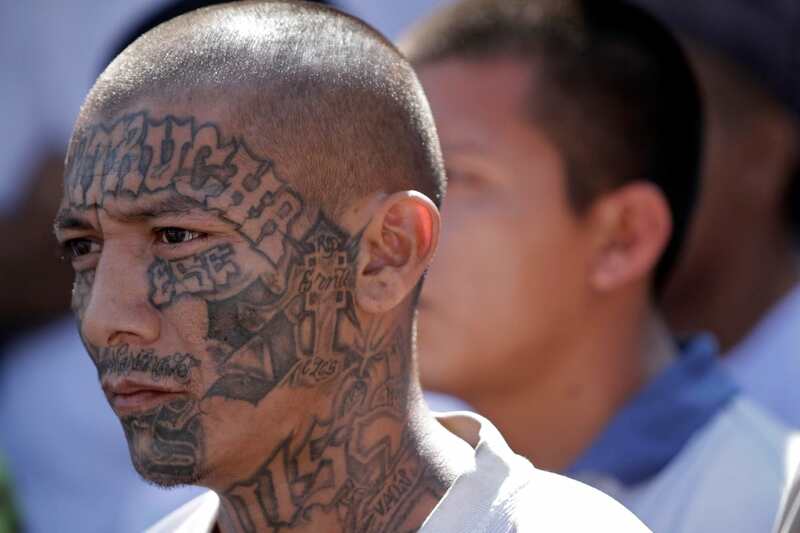 Mara Salvatrucha gang members are easily identifiable due to their extensive full body and face tattoos – which often contain references to the gang and to Satan. To communicate with one another the gang also use their own Satanic hand symbols. 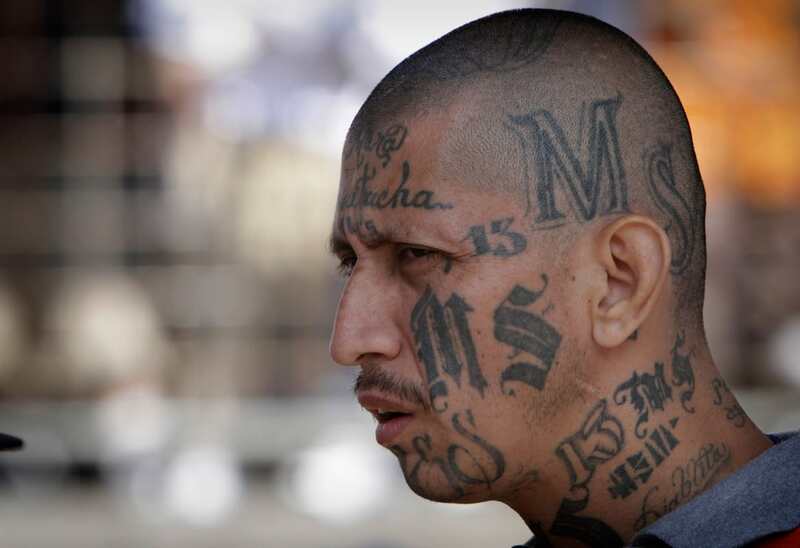 In total there are currently around 100,000 members of MS-13 across the globe. 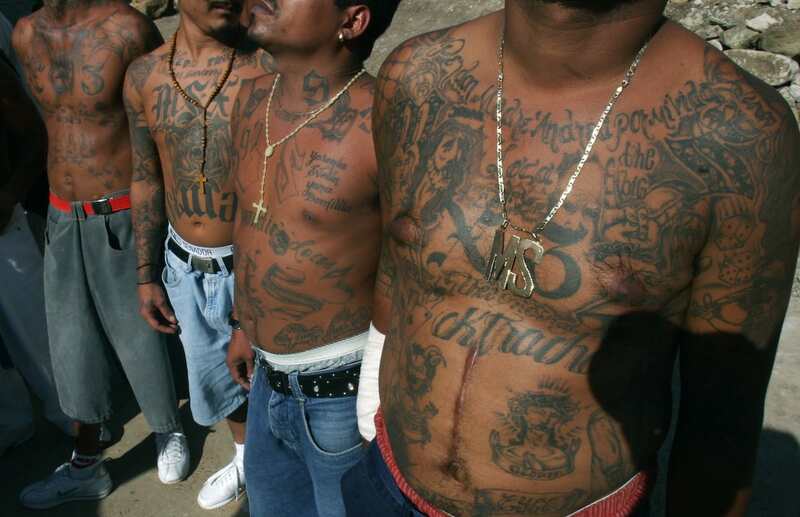 If any gang members are unfaithful to MS-13 they are punished by having their limbs removed and in some cases they are murdered. Horrifically, one former gang member who was heavily pregnant was found out to be a government informant. To punish her for her disloyalty, two other gang members stabbed her 16 times before dumping her body on a nearby river bank. And it doesn’t end on the streets as MS-13 even run some of the prisons they are sent to. 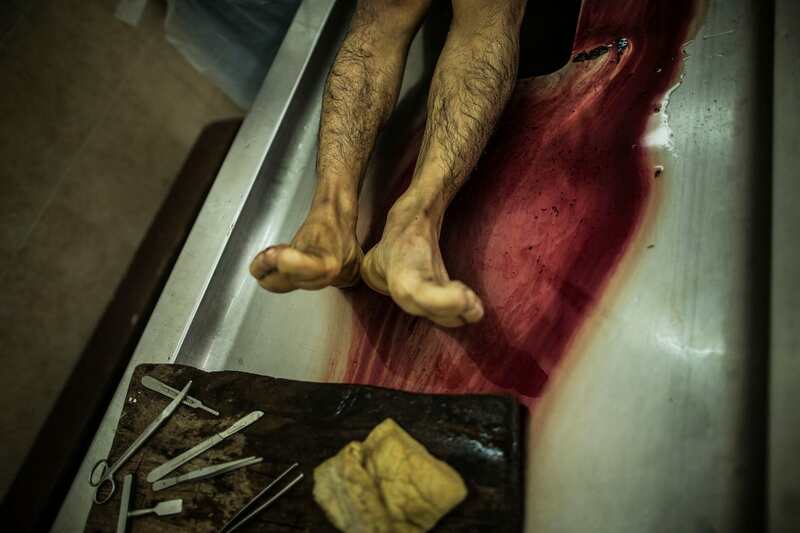 In the 2,500+ inmate stronghold of Penas Ciudad Barrios the prisoners, which include murderers, have essentially been left to run the prison themselves. The prison is fitted with a bakery, workshops, hospital and rehab, however the prison guards make sure to stay out of the way in order to keep themselves out of harms way. In the past few weeks, the MS-13 symbol has been spotted in Sydney leading locals to fear that the gang has come for the Australian city.